The cost of switching to solar energy has decreased dramatically since it first became available. According to figures published by the Solar Energy Industries Association (SEIA), it continues to drop, with the average cost of residential installation falling 41 percent between 2010 and the second quarter of 2014. Much of that decrease can be tied to dramatic drops in the prices of solar panels themselves, which have fallen 64 percent over that same period, but other costs, the ones that pay to get those panels on the roof and hooked into the system, have not been subject to the same declines. As a result, solar is still a major expenditure for many households. Unlike most home improvements, however, some of which cost more than they’ll return if a house is sold, solar does more than increase a home’s value. It pays for itself over time in the form of lower electric bills, and it’s one of the few home improvements that qualify for a variety of federal, state and local tax breaks. Calculating costs and benefits is a highly specific exercise. The starting point is the amount of solar energy that reaches your home, a question that can be answered by solar calculators at SolarEnergy.net, at Weather Underground and by many other solar calculators on the Web. Whatever the result, solar should be a viable option. According to a study by the Florida Solar Energy Center, even the coldest and cloudiest areas of the United States receive enough energy for a properly designed and installed solar system to work. Next, you need to know how much electricity you use or, in other words, how much energy you’re trying to replace. The calculation is complicated by a great unknown, the cost of electricity in the future, but SolarEnergy.net provides projections that offer a rough idea. The combination of those two factors, solar radiation and energy consumption, will determine the size of the system needed to replace the power now coming from the grid. Those two variables are not the end, though. Different solar systems operate at different levels of efficiency, and a more efficient system can be smaller and still produce as much power as a less efficient system. Finally, there are always regional variations in general construction costs, and the building itself will make a difference, with prices affected by the shape and composition of the roof and by the work required to tie into the building’s electrical system. In light of all those variables, the price of a specific installation for a specific home can’t be generalized. Instead, costs are expressed in terms of a dollar amount per watt of power the homeowner hopes to generate. Even then, prices occupy a broad range, but the average cost for a residential system is $3.92 per watt, according to SEIA. On average, then, a thousand-watt system would be priced at $39,200. That’s still a significant outlay, and it may not even be enough. 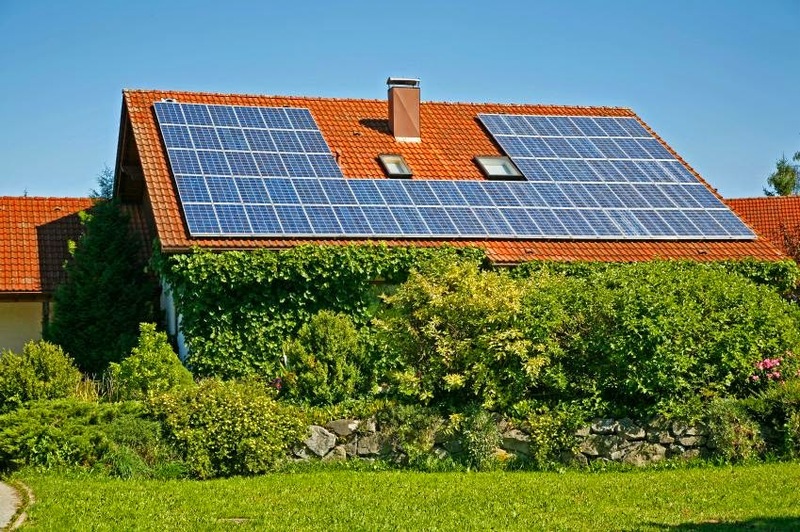 Many homeowners need bigger systems if they want to go completely off the grid. Two things make the cost easier to bear. First, the systems pay for themselves over time. How much time it takes is subject to interpretation and to related costs like system maintenance and the cost of power from the utility company. In general though, a period of five to 10 years is enough, with some systems paying for themselves in as little as two years. Second, rebates and incentives help lower the real cost significantly. The federal government offers a 30 percent tax credit, and every state has its own programs that help subsidize installation. The Department of Energy offers helpful links to specific states, as does the Database of State Incentives for Renewable Energy. Some municipalities participate by way of reductions in property taxes, and utility companies offer rebates. California is typical, with a multitude of programs and a constantly changing mix, but current information is available through Go Solar California. As solar becomes increasingly cost-effective, it’s worth remembering that its benefits are more than financial. Solar power is a cleaner source that moves the world away from its dependence on fossil fuels, and it offers the independence and security of a power supply that no longer disappears when lines or transformers go down. In that light, the financial benefit, though very real, is almost the icing on the cake. Modernize is a place to gather ideas and see how other home owners have transformed their houses. It’s for those who’ve just begun to think about what they want their new kitchen to look like, those who wonder what kind of siding and color will add the most value, those who want to know if running their home on solar energy is even a possibility.